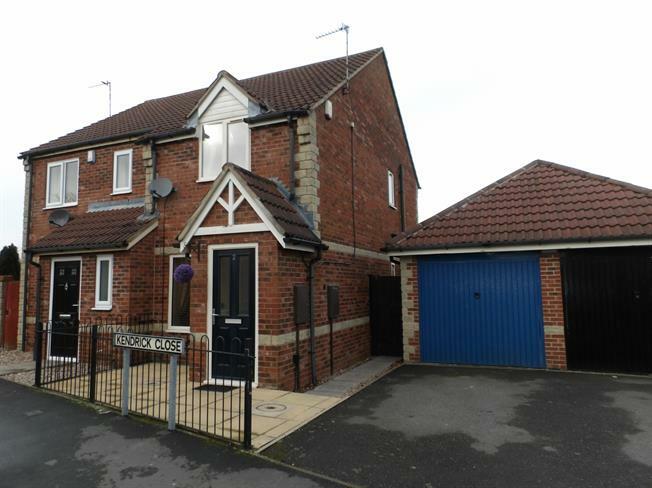 2 Bedroom Semi Detached House For Sale in Coalville for Asking Price £145,000. A beautifully presented two bedroom semi-detached property with off road parking and garage, situated in a convenient location close to a variety of local amenities and great access to the motorway. Internally the property consists of a lounge with feature fireplace, good sized breakfast kitchen with external window over looking the garden. The property also has the added bonus of a downstairs W/C. On the first floor there are two double bedrooms and a modern family bathroom. Outside the garden is mostly laid to lawn with a private decked area and pond. Please call now to arrange a viewing. This property is immaculately presented and ready to move straight in!! Modern kitchen diner with fitted wall and base units. Window to the rear elevation over looking the garden. Large lounge with feature fireplace and open staircase. Master bedroom with window to the front elevation. Ample storage space and open wardrobe. Light and bright bedroom with window to the rear elevation over looking the garden. Modern three piece suite. Shower over bath, wash basin and WC. Neutral tiles and complimentary flooring.